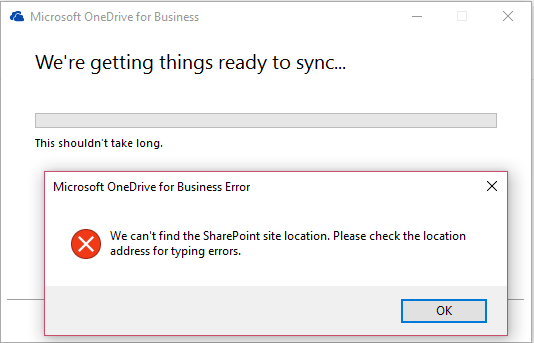 When I use OneDrive for Business to synchronize document libraries in my SharePoint libraries I have found some differences between Office 365 and SharePoint on-premises. Today I’m looking at synchronizing at a folder level. 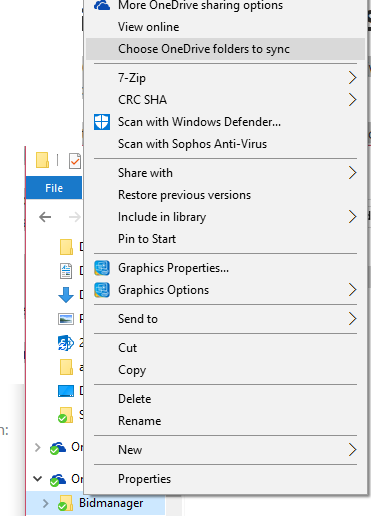 So my OneDrive gives me the option to synchronize files at a folder level. So that I can exclude some folders. 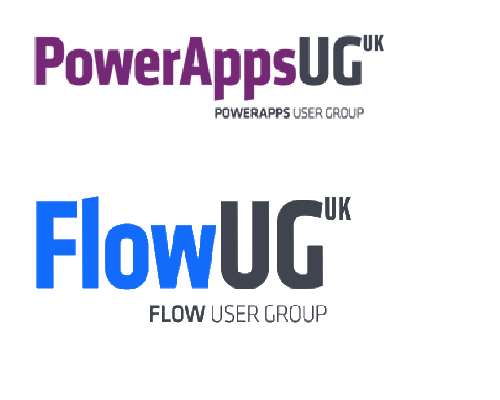 Now I compared this with Document Libraries in SharePoint ( both on-premises and in Office 365). 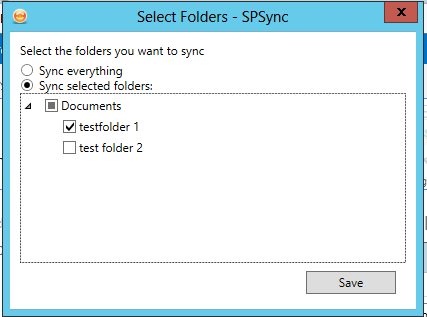 So is there a way to synchronize at a folder level when using SharePoint document libraries? Ok, that now seems to be working better, but there is still no option available to synchronize at a folder level. 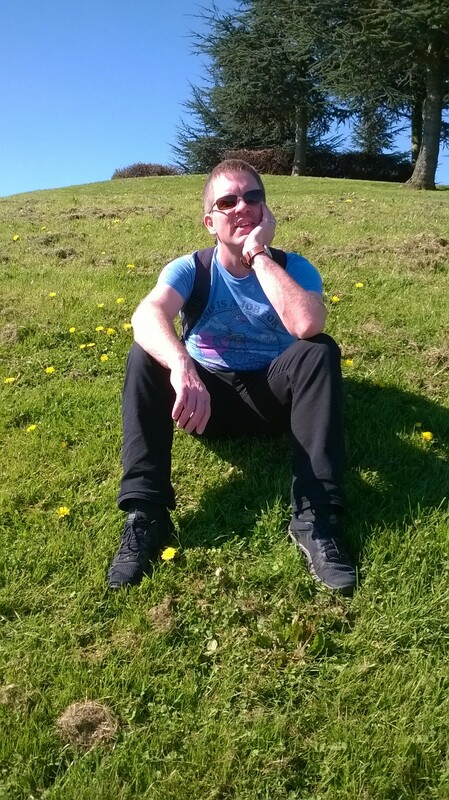 My next attempt is to use the new team sites. So I created a new team site/Office 365 group and I started synchronizing my document library. 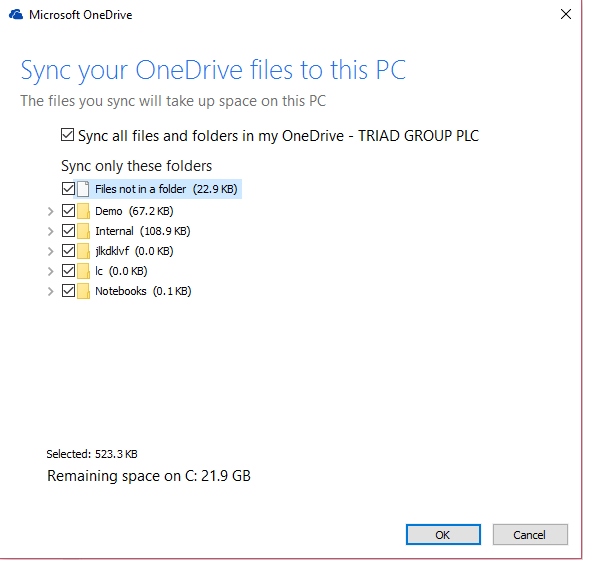 Following Hans Brender’s advice, after installing the latest sync client from here: https://onedrive.live.com/about/en-us/download/ This problem went away. But I’ve still only got a working solution for a cloud based SharePoint. 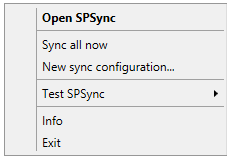 So so far the only option I have found is SPSync where I can select the folders that I want to synchronize. The only downside that I have found is that it is extremely light weight. The user interface. All is controlled through some options in my system tray.